Burrr' Winter is finally hitting Malta with wind picking up at night. Time to prepare for cold chilly nights and what isn't a good way to get out some christmas soaps from LUSH to make it feel like Winter? LUSH always has an array of christmas goodies and i own quite a number of products from them and use them on a daily basis. 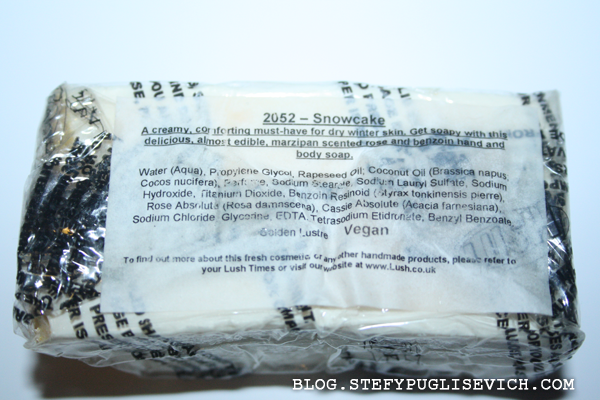 Today i am going to be talking about Snowcake Soap. "Snowbody does it better, Makes me feel sad for the rest"
"Another of our Christmas bestsellers. This soft white soap smelling of marzipan and fruit has people rushing in to stock up as soon as we release our Christmas stock. We’d sell this all year, but then Christmas wouldn’t be so special. Made with a fragrance of rose absolute, cassis absolute and benzoin resin." I cut a piece from the soap to use in my daily shower routine and it felt so soft and silky. The gold glitters got distributed all over making my skin feel soft yet with a little bit of gold reflexes. 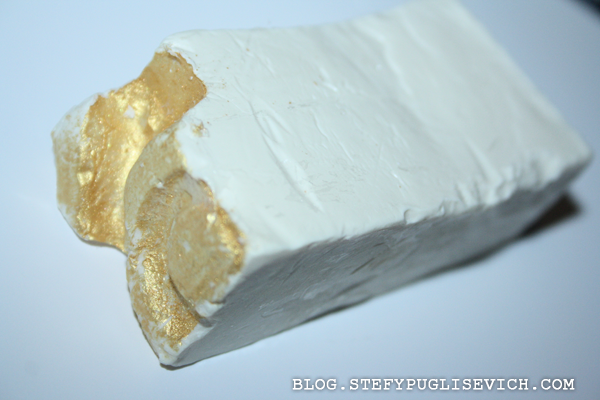 The smell of the soap is yummy and delicious as it smells of marzipan and rose fragrance. The smell lingers after for quite awhile after. I would recommend trying out soaps from LUSH as they smell divine! 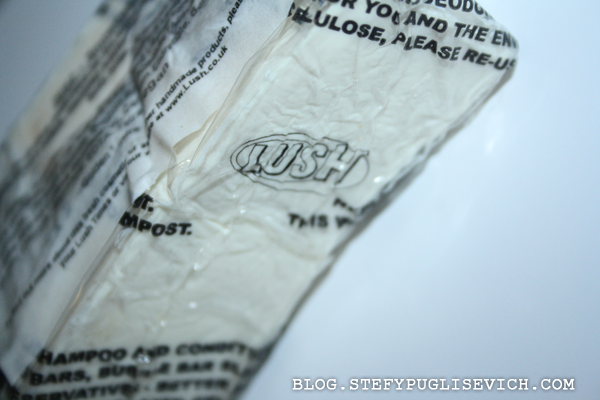 HAVE YOU TRIED LUSH SOAPS BEFORE? Sounds fab! I was in Lush yesterday but didn't spot this, wish I had! I have their hand cream that smells like Snowcake but can be a bit sickly on moments. i bet you'll love it ! love lush :) woudl u like follow each other?